Thumka Danda village is situated south-east of Kavre district under Roshi Gaunpalika. The village is on the difficult terrain and mostly populated with Tamang indigenous community who are economically very poor and literacy rate among them is negligible. Throughout the year except the monsoon season village is very dry. 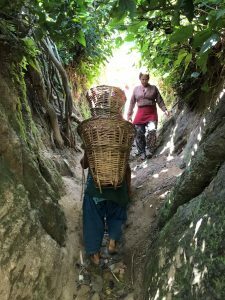 Since village has no water source of its own even for drinking, women of the village have to fetch water from below the valley, spring water, walking the stiff terrain for 2 to 3 hours daily carrying it on a bamboo basket in plastic bottles. On the request of the villagers, NJSI is laying 6700 meters water pipe line connection from the nearest water supply tank and will be storing it in an eighteen thousand liters tank for the various use of the villagers. On 19th September 2018, Fr. Anil and Mr. Tikaram Regmi went on a bike to attend the laying of the foundation and a blessing of proposed Water Tank installation. The beneficiaries of this project had gathered in a big number for the ceremony. 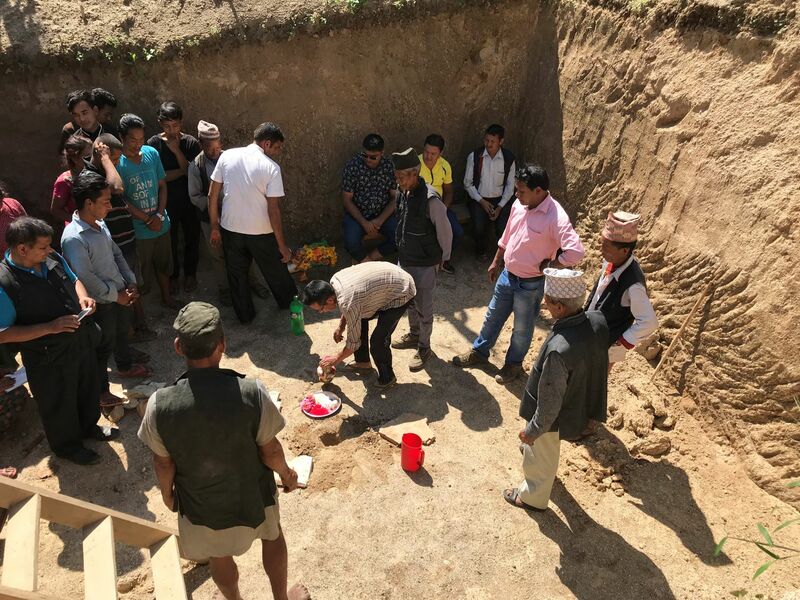 The villagers, especially the women, were very happy and expressed joy and hope that it would be completed before the Dashain-Tihar holidays. 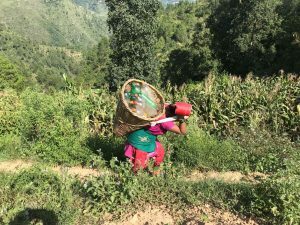 NJSI, as a team, hope to fulfill their dreams before festivity begins and bring smiles on the faces of villagers and in particular on the faces of women who have to spend hours on the difficult terrain to fetch the water for the household needs.